This centre close to Bonita Beach and to the US 41 with easy access to the I-75. This building is new and offers 20 offices with access to 3 conference rooms, admin services, kitchen amenities and well designed and constructed office suites with marble and wood panelling. The regional transport links are also excellent, with a wide range of convenient and frequent services in operation across multiple extensive road and rail networks. 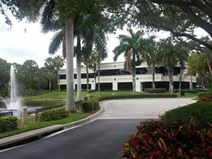 Depicting the warm and laid back feeling of the West Coast this luxurious office building is set over two floors, just minutes from I-75, and provides tenants with a choice of almost 100 office suites ranging from 85 to 650 sq. ft.